This reading group guide includes an introduction, discussion questions, ideas for enhancing your book club, and a Q&A with author Jodi Picoult. The suggested questions are intended to help your reading group find new and interesting angles and topics for your discussion. We hope that these ideas will enrich your conversation and increase your enjoyment of the book. 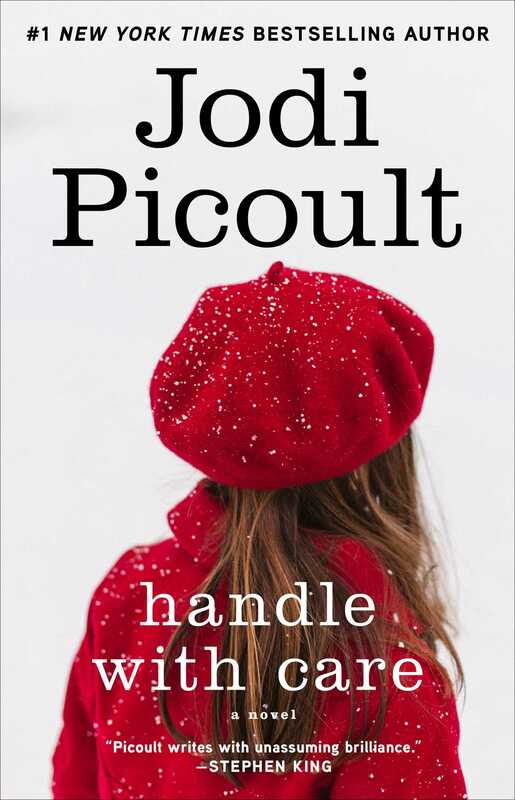 Another heart-wrenching, controversial novel by Jodi Picoult, Handle with Care introduces Willow, a smart and charming five-year-old who was born with a brittle bone disease called osteogenesis imperfecta. Over her lifetime, Willow will have hundreds of broken bones. Her mother, Charlotte, will do anything to give Willow the best life possible—even if she has to say under oath that Willow never should have been born. In pursuing a wrongful birth suit against her obstetrician (and best friend for nearly a decade), Charlotte is willing to put everything on the line in hopes of gaining the financial means necessary to take care of her daughter. Picoult constructs an emotionally complex novel, weaving tender and poignant moments into a difficult story of suffering and sacrifice. Charged with thought-provoking questions about medical ethics, morality, parenting, and honesty, Handle with Care asks just how far we would go to care for the ones we love. Try baking some of Charlotte’s recipes for your book club meeting. Discuss the different baking techniques you used; were you able to relate to Charlotte’s experience of making these treats? Learn more about osteogenesis imperfect by visiting www.oif.org. 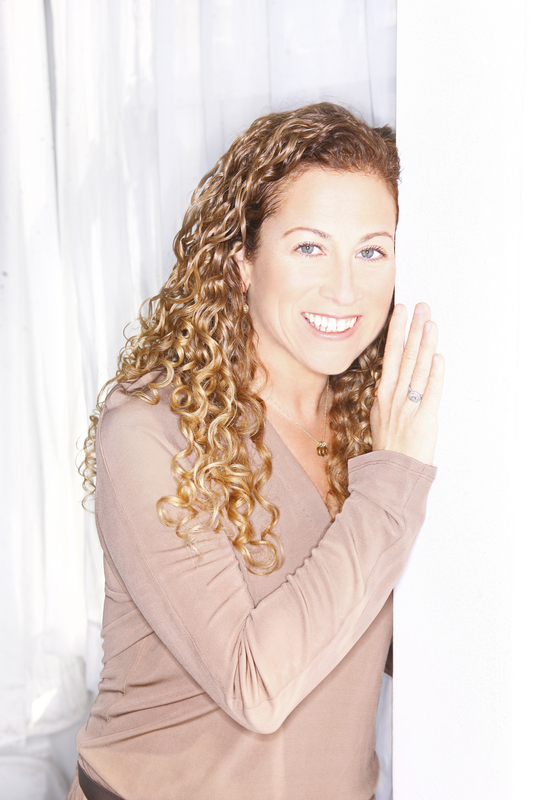 Visit www.jodipicoult.com to view book trailers, see what Jodi’s up to, and find out about upcoming signings and appearances. Q: What led you to OI as the topic for this book? Did the idea of a wrongful birth suit come first or second? Talk about the research required for writing this novel. A: The seed for Handle with Care began with an article I read about wrongful birth—a mother in New York sued her ob-gyn after her son was born with severe chromosomal abnormalities and won a multi-million-dollar settlement. It was clear from the article that she loved this child dearly—but that in order to give him a better lifestyle, she needed to tell the world she would have aborted the fetus if given the chance. That moral conundrum got me thinking: what if her child had not been profoundly mentally disabled, but just physically disabled? What if her child could hear her in court, saying that she wished he’d never been born? That led me to osteogenesis imperfecta. Also known as brittle bone disorder, it is a genetic bone disease characterized by fragile bones that break easily. It’s caused by a mutation on a gene that affects the body’s production of collagen in bones. It affects between twenty-five thousand and fifty thousand Americans—the range is large, because mild cases of OI often go undiagnosed. There are eight types of OI, ranging from lethal at birth to mild with few symptoms. A person with severe OI might experience hundreds of fractures and have a reduced life span. Other symptoms include short stature (people with severe OI are approximately three feet tall), hearing loss, curvature of the spine, respiratory failure, and loose joints and muscles. Physically, it’s a very difficult condition—but mentally, people who have OI are one hundred percent normal. Many kids with OI are even brighter than their able-bodied friends, because they do so much reading after a break, when they can’t run around. For research, I tried to walk a brief way in the shoes of a parent whose child has OI, by visiting multiple families with kids who were afflicted by the disorder. The first girl I met with OI, Rachel, had Type I—a milder form—but had suffered nearly fifty breaks in her eight years because her parents wanted her to live as normal a life as possible. Rather than having her walk on her knees or restrict her activities, they allowed her to do what she wanted… knowing that it would lead to broken bones. I remember asking Rachel what it felt like when that happened. “It feels like lightning under my skin,” she said, and I realized then that the pain these kids feel is just what you or I would feel if we broke a bone—it just happens much more frequently for them. From Rachel, I moved on to meetings with kids who had Type III OI—the most severe type you can get that isn’t lethal at birth. I remember the flash in five-year-old Hope’s eyes when the waitress at the restaurant mistook her for a toddler, due to her size; the pain in Jonathan’s mom’s voice when she talked about how she used to think about just leaving him and running away, because she was so afraid she’d be the one to cause another break. During my visit with Matthew, his mom asked me to take him out of his car seat—and I panicked. What if I was the one who snapped a bone this time? This, I realized, was what these parents went through on a daily basis. The kids I met who had OI were all sweet, bright, engaging, adorable—and much more than the sum of their disabilities. This was best illustrated in the case of a young woman who became my technical advisor for Handle with Care. Kara Sheridan is a Paralympian who swam in Athens for Team USA in 2004. She is currently a Ph.D. student in clinical psychology and is busy planning her wedding. She also has Type III OI. When I asked her what she wished people would know about OI, she said it’s a challenging and painful condition, but it doesn’t mandate a tragic life. The moments she’s cherished the most have come about because of her condition, and are just as important a part of OI as the medical difficulties. She also pointed out that no child has OI alone—it affects families, friends, and loved ones by default. Many people shy away from a child in a wheelchair—but when you spend time with kids who have OI, you are not struck by how different they are from able-bodied children, you’re struck by how similar they are. They giggle, they flirt, they tease their brothers. They tell knock-knock jokes and whine about long car rides and hate broccoli. But they also know about things regular kids don’t: splints and braces and pamidronate infusions and spinal rodding. And when you watch them interacting with their parents, you realize that these mothers and fathers are just like the rest of us: willing to do whatever it takes to give their child the best life possible. Even if that means lying to a judge and jury. And suddenly, it’s a lot harder to tell whether that’s blatantly wrong… or impossibly right. Q: The characters in your books are always layered and complex, as are the issues that plague them. How do you create a character like Charlotte whom readers can love and hate at the same time? A: Well, for me, it’s a lot harder to create a flat character who’s either all villain or all hero. Most of us are a combination, aren’t we? Charlotte’s the best kind of character—one who is doing something that looks unpalatable, but is doing it for all the right reasons. In this way she reminds me a bit of Nina Frost from Perfect Match. You want to hate her—but can you really say that if it were you, you wouldn’t at least think about doing the same thing she does? Charlotte’s tragic flaw, in my opinion, is that she is so single-minded in her pursuit of making Willow’s life easier that she neglects the rest of her support system—her friends and her family. Q: How did you choose the recipes that appear throughout the book? Do you believe in the significance they hold for Charlotte? Are you a baker yourself? A: Before I got married, I was lucky enough to have a roommate who became one of my best friends. Now Katie works at the Smithsonian organizing special events—but prior to that, she went to culinary school. When I knew that I wanted Charlotte to be a baker, I turned to her and asked for help. Charlotte, as a baker, would believe that the sum of the ingredients is so much more than its parts—this is true for her when it comes to Willow, too, who is so much more than a litany of moments when she broke a bone or had a surgery or was sidelined to recuperate. I do bake (too much, if you ask my husband, who is constantly cursing me for a pan of brownies cooling on the stove that he is compelled to eat)—and often I have been struck by the metaphorical language of baking. I wanted Charlotte’s cookbook to be a collection of these terms, with accompanying recipes. So one day I emailed Katie a list—words like weeping, hardball, blind baking—and asked her to create recipes that might involve each term. I have to admit that rarely is my fact-checking process so delicious… I got to bake, and road test, every recipe in the book. Q: During the course of the trial, Amelia develops an eating disorder and starts cutting herself. Did you see this as the natural progression for her character? While conducting your research, did you find that these types of behaviors in siblings of disabled children were common? A: While doing research with a child psychiatrist about adolescent bulimics, I learned that cutting is very common for those girls. Apparently, bulimia involves a lot of self-hatred… and cutting figures into that. Siblings of disabled children aren’t always like Amelia, thank goodness—I’d hope that their families would do a better job of including them than the O’Keefes do. For Amelia, the difficulty of having a sibling with a disability is compounded by the fact that she feels she’s failed her sister (in Disney World, for example) and that there are very high stakes in the household for being a child who isn’t perfect (which would be Amelia’s interpretation of her mother’s lawsuit). Q: With the multiple narrators you’ve created, is there a character that you connect with most, or that you feel represents your own voice? A: I had great sympathy for all of the characters in this book—each of them has a valid point to make, in my opinion. So I’d have to say that at different times, I sided with each one! Q: Your narrators share their stories as though they are telling them to Willow. Why did you decide to construct the novel this way? A: I have always wanted to write a book in the second-person narrative voice, but it's tricky and calls for the right kind of story. Because the whole book revolves around Willow, I wanted her to feel present and accounted for—hence the structure. Plus, given the behavior of these characters, they deserved to explain themselves directly to Willow. But I also wanted the reader to feel viscerally what it's like to be at the center of this kind of controversy—and the second person narration helped foster the sense that the characters are talking to you. Q: As the author, do you ever feel as though you’re taking on the role of the jury? How did you decide what the ruling of the wrongful birth suit would be? A: I like to think of my reader in the role of the jury, actually. It’s my job as writer to present all sides of the story and then, based on the evidence, leave you to decide what was wrong and what was right. As for a ruling here, it wasn’t as important to me as the final twist of the book—but in order to have that final twist, I had to first have the jury rule a certain way… and that’s all I’m going to say before I give it away! Q: Why did you decide not to share Willow’s perspective until the end? A: Because the reader serves as Willow’s “stand-in” in the book—since the characters are explaining themselves to “you,” it makes you part of the action, and therefore part of the judgment of their behavior. And yet I felt the reader, after hearing everyone's explanation about the wrongful birth issue, also deserved to hear directly from Willow to see how everything had affected her. Q: You’ve said before that you know how a book will end before you write the first word. Was this also true for Handle with Care? Do you ever change your mind about an ending as you get deeper into the story? A: I do know the ending before I write a single word, and I did here too. I will tell you that I think Handle with Care is the saddest book I’ve written—and coming from me, that’s pretty dire! I never wavered on the ending, however, because there’s a bit of a morality lesson in there as well—it’s a real “Be careful what you wish for” moment. A: My 2010 book is about a teenage boy with Asperger’s syndrome. He’s hopeless at reading social cues or expressing himself well to others, and like many kids with AS, Jacob has a special focus on one subject—in his case, forensic analysis. He’s always showing up at crime scenes, thanks to the police scanner he keeps in his room, and telling the cops what they need to do… and he’s usually right. But then one day his tutor is found dead, and the police come to question him. All of the hallmark behaviors of Asperger’s—not looking someone in the eye, stimulatory tics and twitches, inappropriate affect—can look a heck of a lot like guilt to law enforcement personnel—and suddenly, Jacob finds himself accused of murder. I wanted to write a book about how our legal system works well for people who communicate a certain way—but lousy for those who don’t.